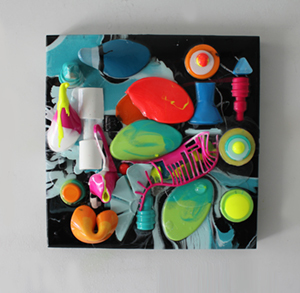 Abstract Expressionism is an emphasis on spontaneous, automatic or subconscious creation and Nathan’s acrylic resin work is Abstract Expressionism in 3 dimensional form. 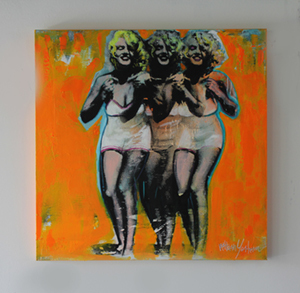 Pop Art is based on modern popular culture and the mass media, especially as a critical or ironic comment on traditional fine art values. Vibrancy and rhythm is ingrained in Nathan Alan Yoakum’s artistic conscience as he works to generate an experience with his art.